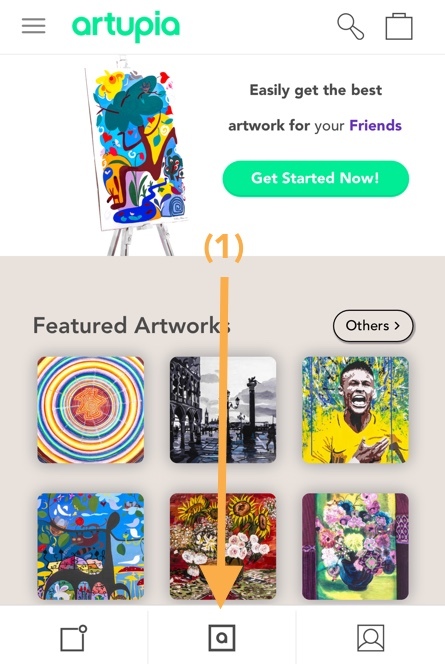 After the artist registration is completed, you can go to the homepage and press the button up on the left "add new artwork” and complete the form. After the artist registration is completed, you can go to "My Collection" (1) and press the button “Made Artworks” (2) to find the orange button “Add Artworks” (3). 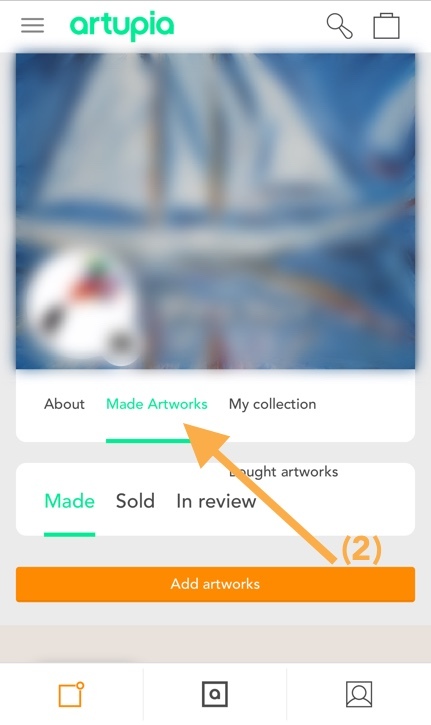 After the artist registration, you can go to "my collection" and press the same button up on the right to upload your artworks.